Want to try something different for your Boo Hoo Breakfast? Try this take home craft. Sometimes getting information about your child’s day is like pulling teeth. A simple “how was your day?” gets you nowhere! This idea came out of that frustration we all sometimes have as moms. Last year I made this craft as a take home for the parents who attended our Boo Hoo Woo Hoo Breakfast. I based it on the memory spheres from the Disney Movie, Inside Out. Even though that was last year’s big summer movie I think the feelings still apply, so we’ll our chair people decided to do it again this again this year. The card attached to the loot bag includes a list of questions to ask your child in order to build their zipper pull. They can add a colored bead that corresponds to a memory of Kindergarten. Maybe the first day, the first week or the first month. The back of the card includes the directions of how to assemble the zipper pull. The kids and I sorted all the pony beads putting 10 yellow (joy) in each bag and 5 of every other color (sad, angry, fear, gross), 1 lanyard hook, one pipe cleaner. I printed the questions on the front of the index card and the directions on the back, then attached the bag to the card with staples. I whipped up one for me and one for G the morning of the party using a hat we already had and a Thrift Store find ($4.99), a wide ivory grosgrain ribbon that I found in my stash of ribbons, blush pink silk roses I bought at The Christmas Tree Store for $10.00 and a hot glue gun. The outfit was inspired by OP. I love the idea of layering a shorter dress or tunic with a pair of shorts that just peek out from underneath. I bought the navy and ivory Paper Crane tunic, along with 3 other dresses (to be revealed soon) at Marshall’s. Each was $19.99. The navy shorts (you can barely see them, but they’re there) are J.Crew 4″ Chino Short. I only go with 4″. 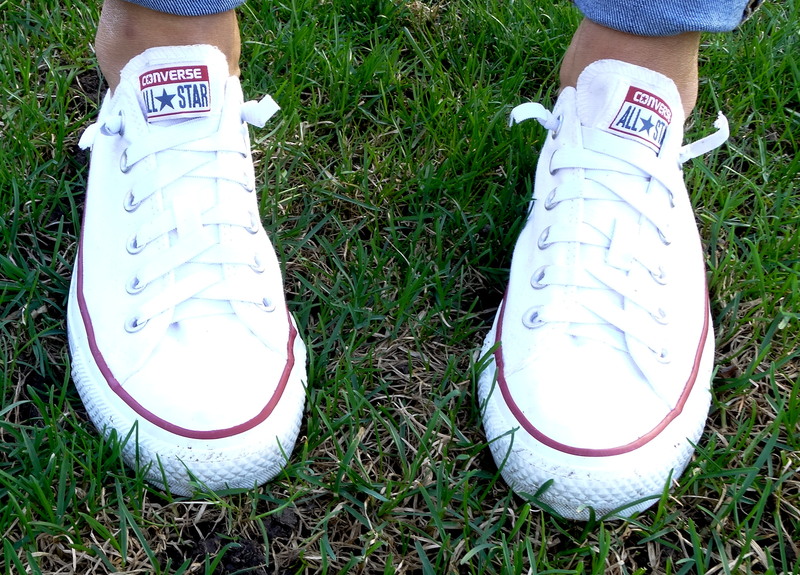 I don’t know why but they are the perfect length for me. The belt and watch are from Target, the sandals are Nine West (TJ Maxx), the purse is a Thrift Store Find from last year (also seen here), necklace is from my ridiculous JCPenney jewelry buy last fall (also seen here). I was so excited about this little find that I had to share it immediately!!! We are having a belated Birthday Party for G. I am the worst at throwing parties. Hers is coming 4 months late — don’t judge. Anyway, we are having a house party and one of the activities will be a decorate your own cupcake, since G is loving the Kids Baking Championships on Food TV. Rather than take out all my sprinkles, I found these mini salt and pepper shakers at Dollar Tree. We filled them using a funnel and they look adorable and shake out sprinkles at just the right rate for a bunch of 7 year olds. Light Bulb! Crossbody or Clutch? This is the bag from yesterday’s post. Let me start by saying I have little to no use for small bags. I use them more on vacation, but I do like to have clutches that fit into my bigger bag so I can grab the clutch part on the go (running to the store mostly). I need my clutches to have a wrist strap. Having to hold onto a clutch leaves you with just one hand, so I always look for a wristlet that is big enough to hold my phone, some lip gloss and my wallet. 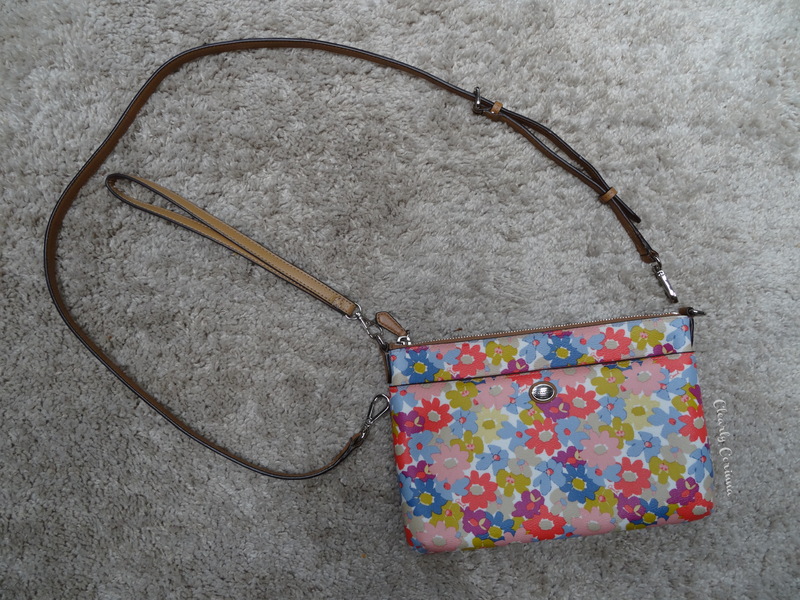 Here’s what I did to make this crossbody a clutch, I took it to a cobbler (shoe repair). Had them remove the strap and add lobster claws to the long strap so it would be removable. Then I asked them to make me a wrist strap and add a lobster claw to that. Now I can change it from crossbody to wristlet anytime. PS. I have reworked this concept to work with other bags as well. 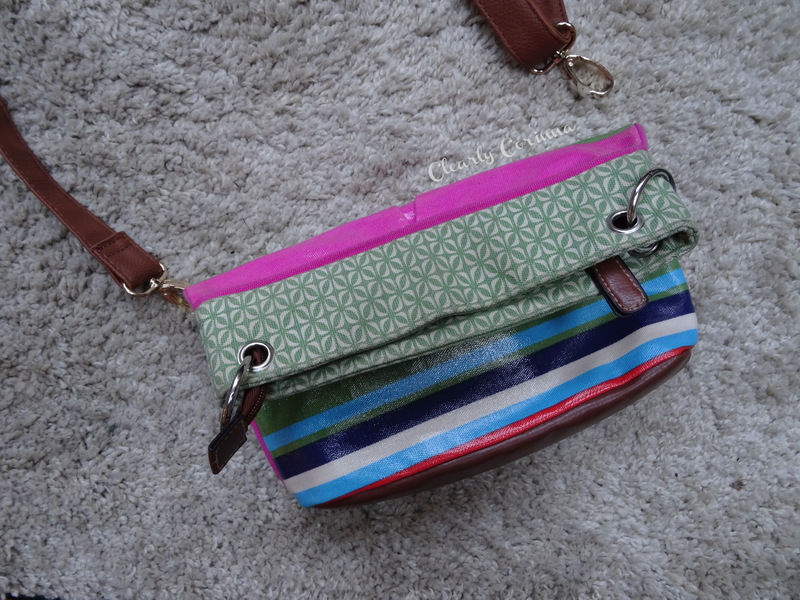 My pink Buddah Bag (seen here) has a removable crossbody strap that I add to this little bag that I mostly use a clutch. I bought this colorful number at Walmart when I was looking for a vacation clutch (I cut off the long strap that I had no use for). And now that I have the wristlet attachment I can add it to almost any small bag I have. So much to think about and do before the first day of school. 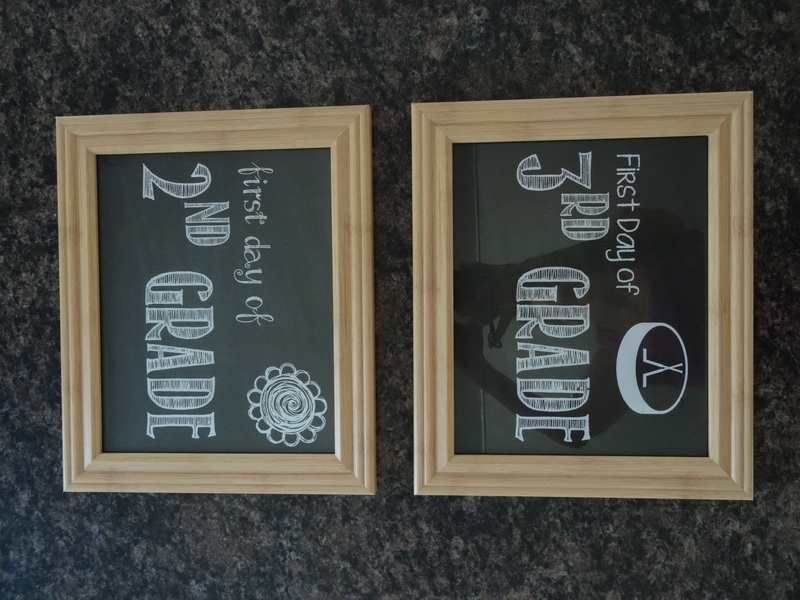 I have always thought about doing these cute little pictures with the chalkboard, but never got it together. This year I am planning ahead! 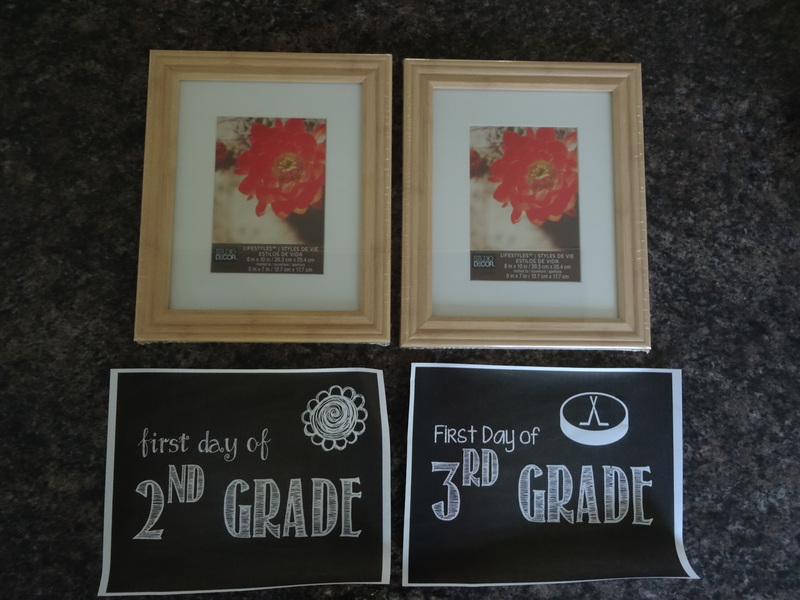 I bought the frames at Michael’s for $5.00 a piece. I love them because with the blackboard image background it looks like a real old school blackboard. Then traced the matte with a white pencil to trim the page to fit. 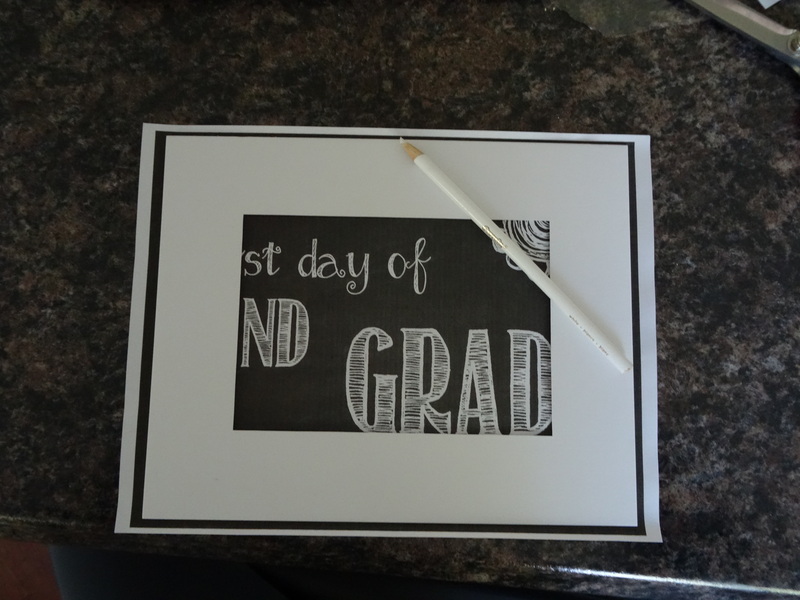 Easy peasy..one less thing to think about for the first day of school! I love the look of a French manicure on toes. Something about it says, I just pampered myself at a salon! If you know me, you know that that is a rare occasion. So I did my own and instead of using the French White tip color (opaque bright white) I used this sheer off white color by Sally Hansen Spring 2015 Collection, Sheer Force. I think it looks a little more everyday, not too fancy. Teachers are people too! I love all the cute Pinterest worthy ideas for teacher’s gifts, but when I give my gifts I just think about all the mugs and chachki they must get over the years so I try to give something they can use! This year I decide to give the gift of the best sangria we’ve ever had (and we have tried many). 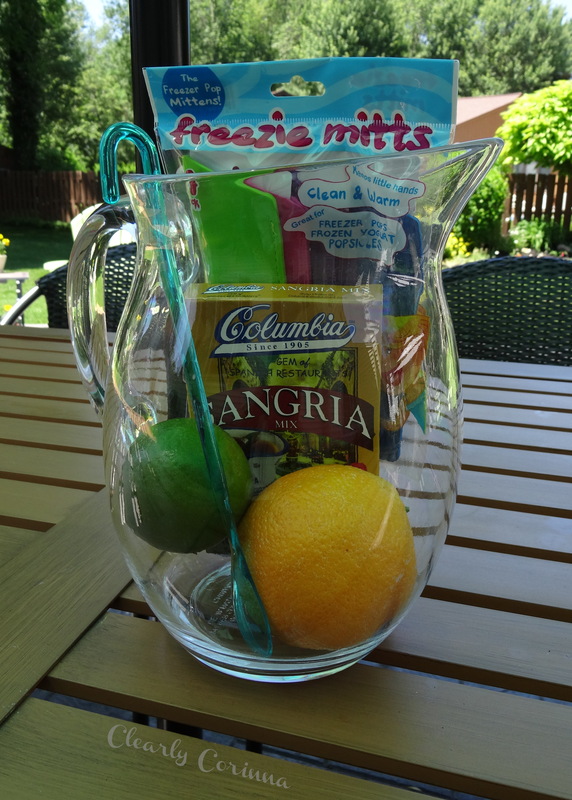 The pitcher is from Target $7.99, the mix is part of our annual stash that we buy from Colombia Restaurant in Florida, and orange and a lime — all they have to do is add the wine. I also included these cute Freezie Mitts I found at Premier Gourmet since G’s teacher as little ones. I noticed tis trend last year, bold sheer nail color! I tried it last summer by only putting one coat of a color on my nails before my topcoats. But it would always flake off quickly. Just not enough layers to stick, I guess. So this solution came to me this year. I am going Hard Candy and mixing my own. I took a spare bottle of Shell we Dance and mixed it with Bubblegum Pink. The color is a bright, light sheer pink that I love. It’s a pretty pink, but the sheerness makes it look more grown up. Forgive the horrible cuticles, but enjoy the color!